8Nineteen Advisory combines strategic consulting with investment banking financial advisory services to deliver unencumbered advice to help companies accelerate their growth and expand their liquidity options. Founded on the core principles of Exceptionalism, Integrity, Globalization, Humility and Transparency, 8Nineteen strives to always do the right thing and to do what it says it will do. The Advisory focuses to help companies with various organic and inorganic growth initiatives and related discussions. We also serve as a strategic resource to help in the assessment of liquidity options as businesses evolve and opportunities arise. We work with both public and private companies that are positioned at an inflection point where many growth questions, issues, and opportunities can arise that require careful assessment and focus. The Advisory can also be utilized for acquisition assessments, target identifications, due diligence and integration services as well as divestiture or restructuring activities. As strategic advisors and consultants, 8Nineteen is positioned to develop trusted relationships earlier in the growth lifecycle of companies so that when major liquidity events or growth initiatives develop there will be a more strategic and educated relationship than might have previously been available. Our goal is to provide an investment banker "on staff" for a period of time in advance of such major events, while also having a resource to help with less major events in the interim. For larger enterprises, there will be a concept of "outsourced corporate development" where we can serve to augment these functions, or provide that function to companies who have not yet developed it internally. The Advisory is a firm believer in globalization and the innovation and growth that can come from the emerging or developing markets. As such, 8Nineteen will be a valuable resource as companies look toward global expansion and commercial partnering opportunities. For The Advisory, it is much more about building a long-term partnership for growth and success rather than one-off transaction events. Our specialized advice has developed over multiple decades based upon successful merger and acquisition advisory services coupled with expansive capital markets expertise so that The Advisory can be a valuable resource for CEOs, Boards, Founders and Investors. 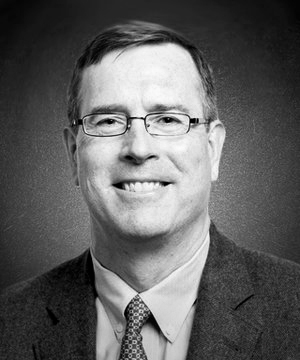 8Nineteen's Founder and Managing Partner, Tim Harned, has been providing strategic advice to companies for more than 30 years, having begun his career in the M&A Group of Lehman Brothers in the 1980s. He has been a trusted advisor to clients while at Montgomery Securities, Morgan Stanley, Capstone Partners and AGC Partners and has also served in corporate development roles at The Shelton Companies as well as Farley Industries and for its portfolio companies, including Fruit of the Loom.